John Goldberger is a renowned horological expert, collector and publisher. He sent in this photo to share with you and he said "Happy Easter!" 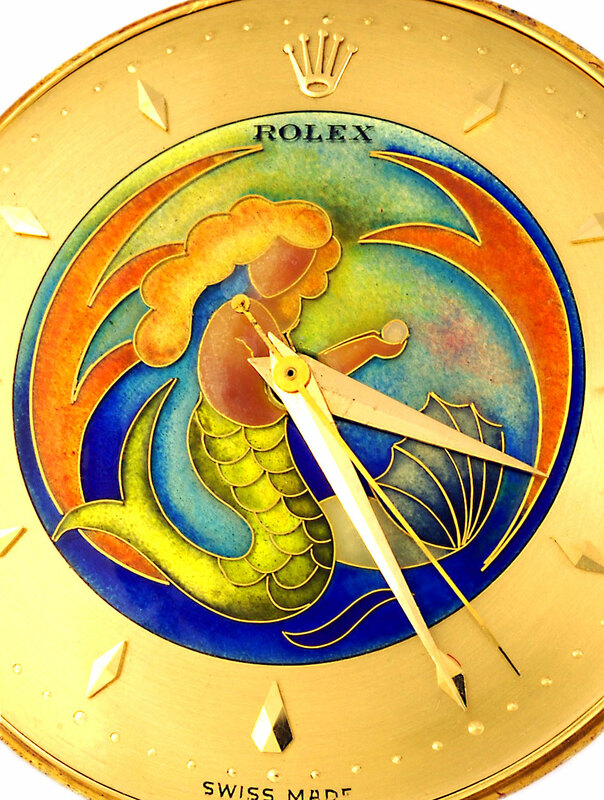 This is clearly a beautiful Rolex Cloisonné dial from the 1950s and it features a mermaid holding what would appear to be a pearl, or perhaps an egg. To all my readers who celebrate Easter, Happy Easter, and to all my other readers I hope you are having a great weekend, and special thanks to John for sharing this image.